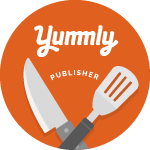 Right from the start, I'm going to put this out there - I think growing up with such good Italian cooks and hopefully inheriting some of their skill, has made me biased ... well, maybe not bias, more like very particular ... ok, fine, I'm an Italian food snob. So, with that said, I usually do not go out for Italian food. However, when the chance to check out a revamped Italian spot in Westport presented itself, I had to give it a shot. That spot is the newly renovated Arezzo Ristorante + Bar in Westport, an upscale Italian restaurant with waterfront dining, right alongside the Saugatuck River. Restaurateur Juan Ceballos and chefs/brothers Vinicio, Sergio and Bolivar Llanos have been working together for over 20 years. 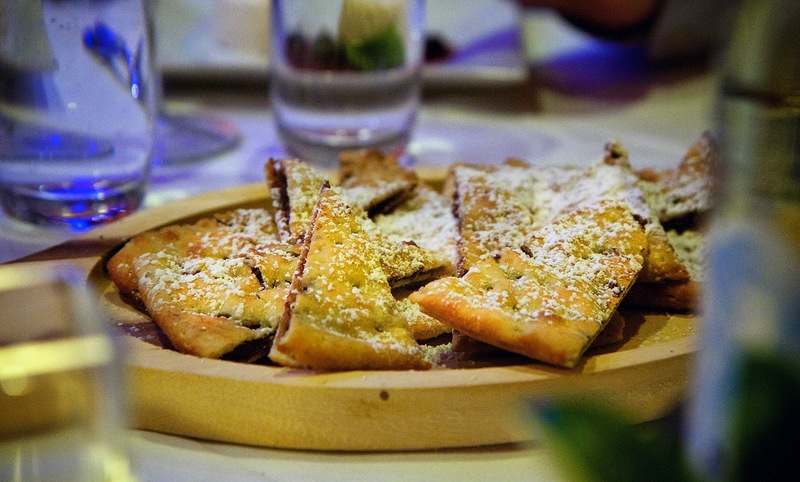 Their foray into the restaurant world began while under the guidance of famed Italian Chef Pino Luongo, who in the 1980s and 1990s helped popularize Tuscan food with more than a dozen restaurants throughout the US. Now Ceballos and the Llanos brothers have set out on an adventure all their own with Arezzo Ristorante + Bar. As you enter, the expansive wine bar area is on your right with dark wood and brown leather chairs and ottomans. A lounge area extends into the corridor between the bar and the dining room. A new brick-faced wood-fired oven greets you as you enter the formal dining room. The dining room, which seats 60, is framed by wood beams and stone archways, Tuscan orange stucco walls, a fireplace and a beautiful view of the Saugatuck River. High-back leather chairs, white table cloths and soft indirect lighting give a polished look while maintaining a warm and inviting feel. It was raining that evening so we didn't get a chance to catch the views from the stone patio and gardens. Rumor has it that it's one of the best views in town. Chef Vinicio Llano adheres to a simple concept of crafting great food with the finest products imported from Italy as well as using local ingredients paired with selection of wonderful Italian Wines. 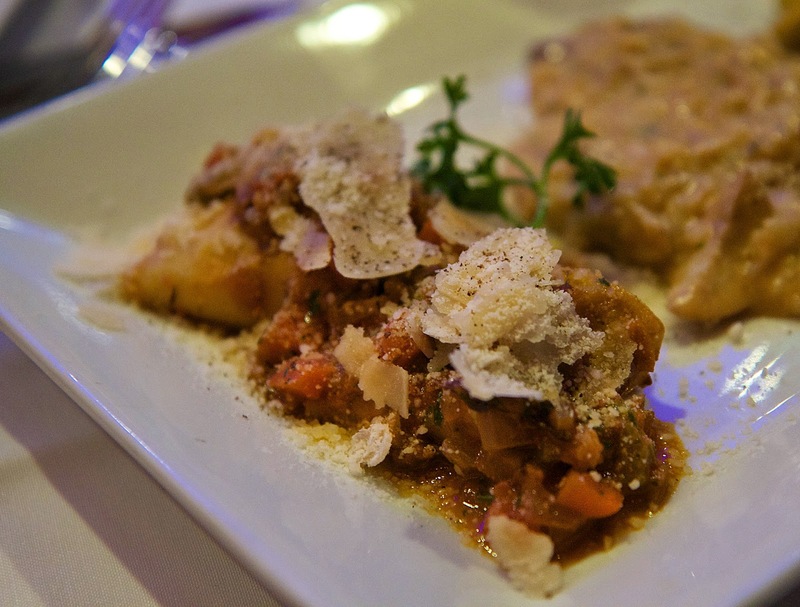 The menu consists of traditional regional Italian fare as well as more contemporary preparations. Antipasti dishes include warm buffalo mozzarella over braised artichokes with roasted Roma tomato and prosciutto di Parma and antipasti misto, an assortment of prosciutto di Parma, sweet coppa, bresaola, mortadella, sopressata, speck and imported cheeses served with marinated olives. There are wood-fired Neapolitan pizzas, fresh salads, homemade pasta dishes, seafood options and entrees, many of utilize the high heat and smokiness of the wood burning oven. Desserts also are made in house by Pastry Chef Patricia Llanos. 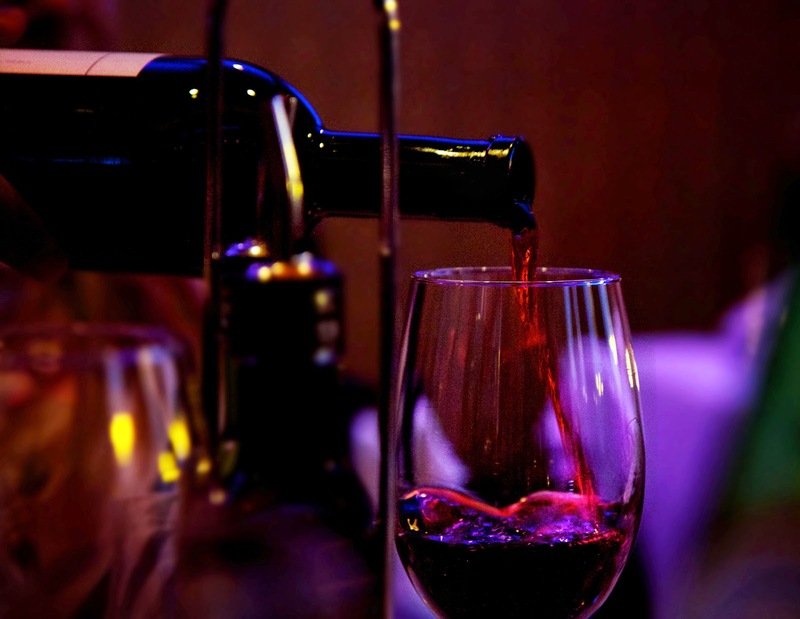 Arezzo’s wine bar, sort of a destination all its own, features small bites and pizzas to compliment a global wine list of Italian varietals and wine makers. Along with a variety of specialty cocktails (most on the sweeter side), top shelf spirits, domestic and imported beer, and a selection of port, grappa and liqueurs round out the beverage options. We started out the evening in the wine bar. I sipped a Super Tuscan while Renato had a classic dirty martini. To accompany our cocktails we sampled a variety of items available on the wine bar menu. 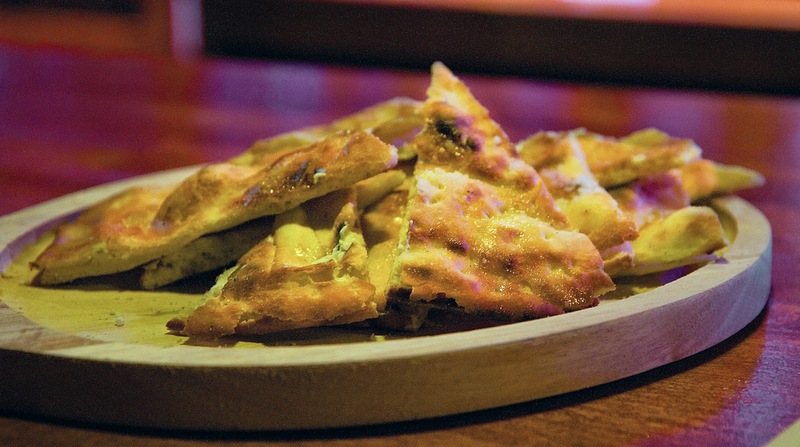 Focaccia Robiola de Drezzo drizzled with white truffle oil. The white truffle oil was a subtle savory element to the dreamy creamy robiola. It paired very well with the wine. 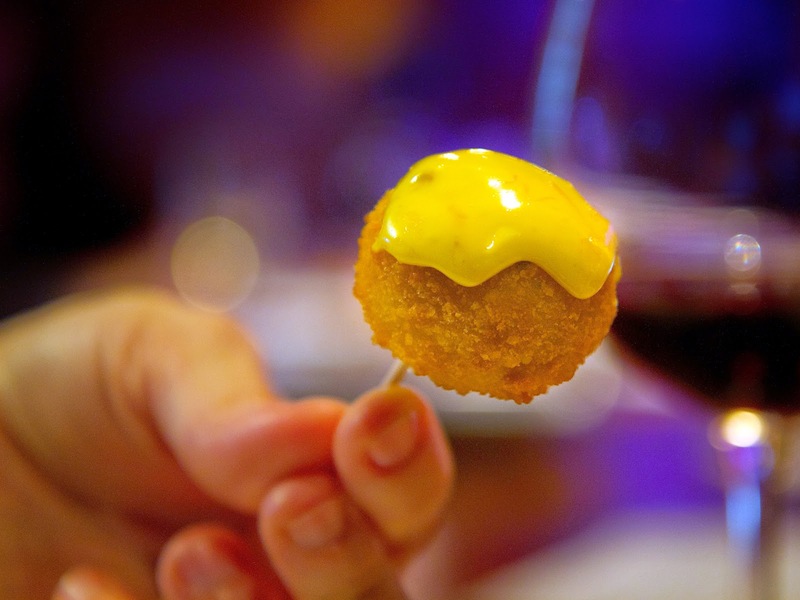 Lobster Arancini with saffron aioli. Yes, these perfectly crunchy, creamy rice balls were filled with lobster. 'Nuff said. Rosemary Marinated Shrimp and Scallop Skewers as well as Italian Sausage Skewers with Roast Peppers. The shrimp skewers are light and fresh tasting. 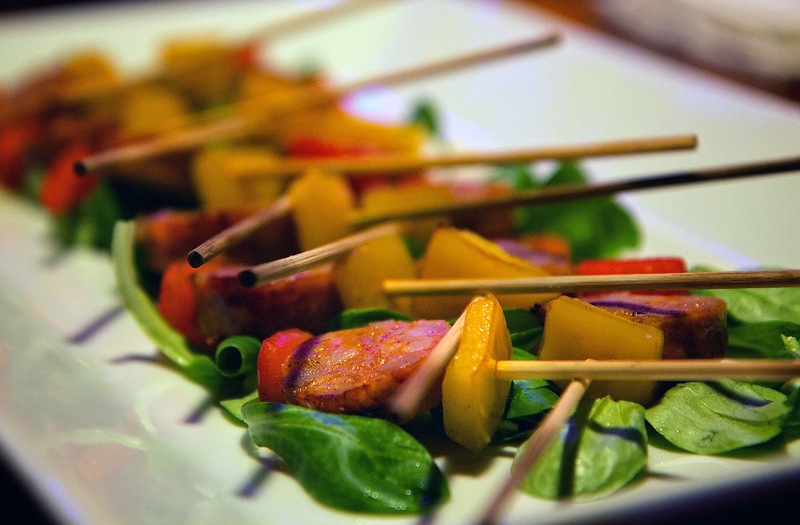 The sausage skewers were a classic combination done in a fun way. There was a delightful touch of spicy heat in the sausage. Last but not least for cocktail hour were three neopolitan style pizzas: Margherita, Sausage, and Soppressta with truffle oil. 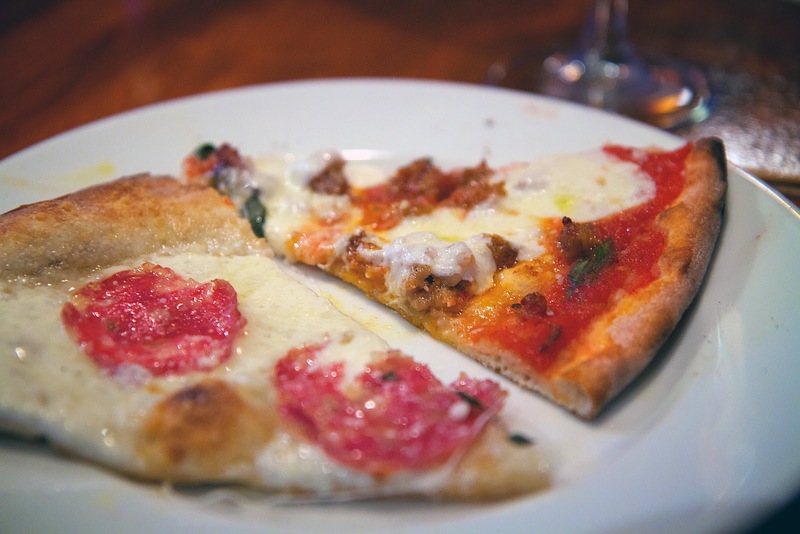 Each pizza had a hearty yet thin crispy crust with a nice char from the wood-fired oven. I couldn't pick a favorite - really enjoyed them all. As if that wasn't enough, we then retired to the dining room for a sampling of new dinner menu items. First course was a trio of Porcini Mushroom and Truffle Oil Risotto, Short Rib Tortellini and Cavatelli ai Piselli. The risotto was creamy and the rice was perfectly al dente, but the taste for me was way too earthy/mushroomy. My taste buds felt totally overpowered. Renato, however, gave it much praise. The tortellini were filled with shredded short rib in a delicate au jus. It was good, but a touch too plain. The homemade cavatelli were served with a hot and sweet sausage ragout that was for lack of a better vocabulary, to die for. 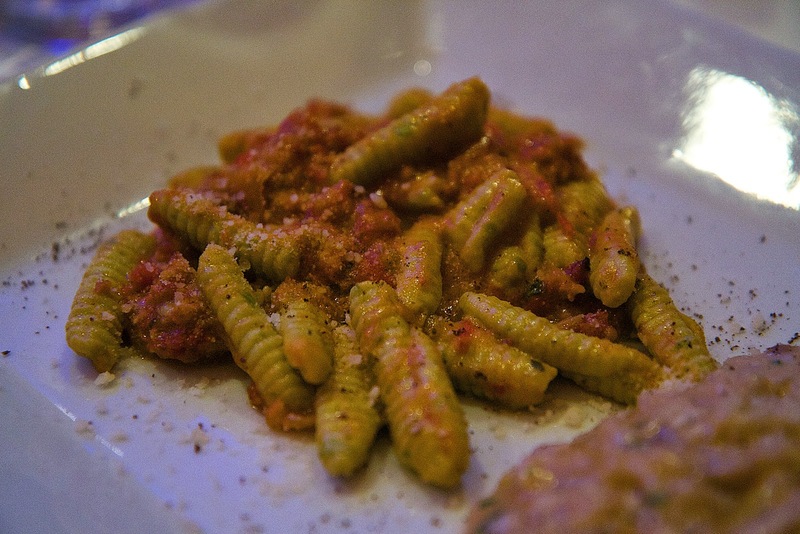 The cavatelli were cooked perfectly and the sauce was rich without being heavy with a nice warming, spicy end. I would order this in a heartbeat. Second course was Pan Seared Pink Snapper with a caponata puree, fregola and vegetables. The snapper skin was elegantly crisped and easily cut with a fork to reveal the tender, flaky flesh. Fregola is a type of pasta from Sardinia which is similar to Israeli couscous. 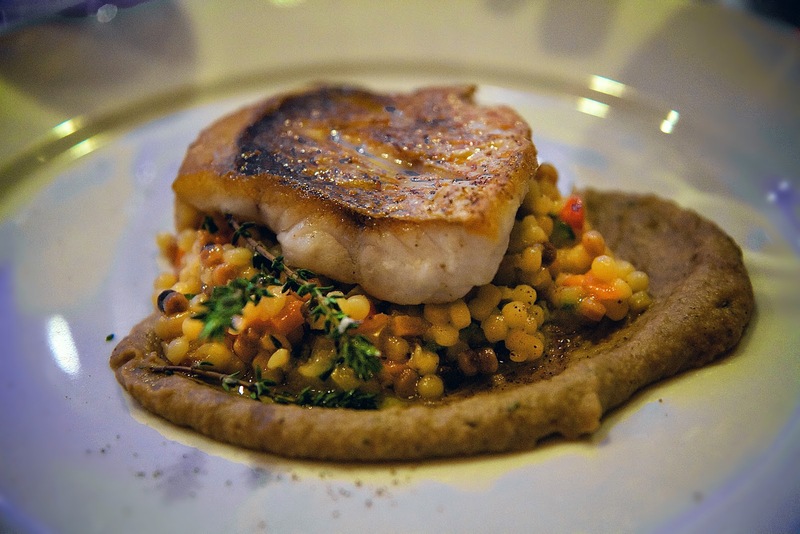 I wasn't a big fan of caponata, but the light fish and savory fregola were a delightful match of tastes and textures. 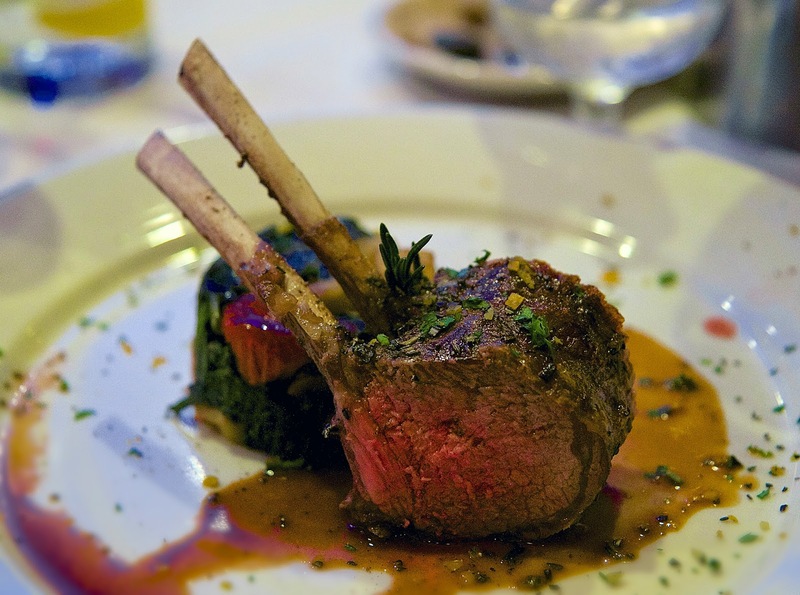 The third and final main course was Roasted New Zealand Lamb Chop with spinach, tomato and Yukon potatoes. The dish had nice citrus notes matched with subtle mint and rosemary flavors. And while the chops were cooked rare just I like them, but they were a bit tough. Next, of course, came dessert: Nutella Pizza and Panna Cotta with berry puree. Nutella Pizza. Seriously do I even need to write anything else? I mean it's thin wood-fired dough with nutella in it. As expected, it was ooey, gooey goodness. 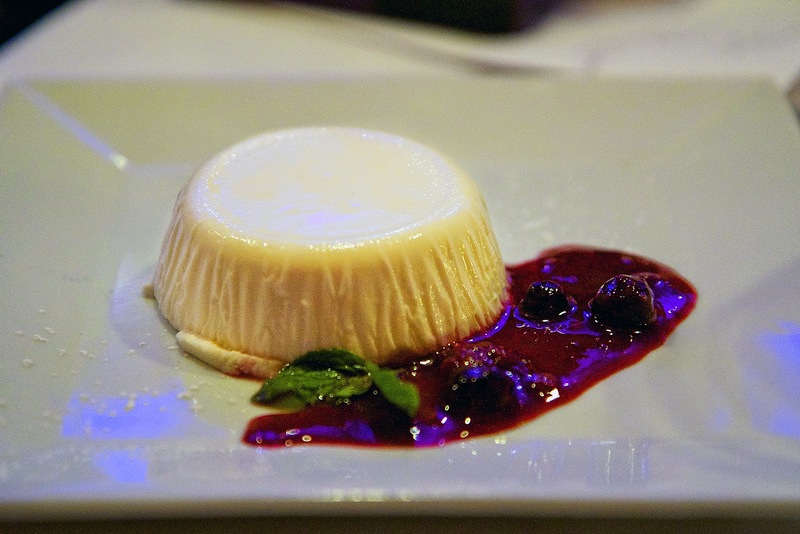 I love panna cotta and can be a bit picky when it comes to this particular dessert. This panna cotta was spot on in terms of the giggly texture. In fact, most of us at the table couldn't help but play with our panna cotta. However, the taste didn't do much for me. It was good as along as every bite incorporated some of the berry puree, but stand alone, I found it a little bland. 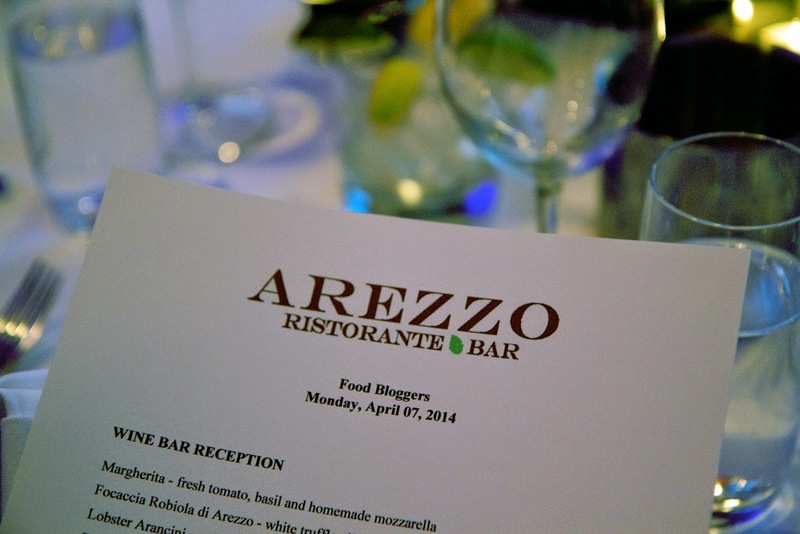 Overall, we had a great time exploring Arezzo Ristorante + Bar in Westport. I could easily see meeting up with friends in the wine bar, or on a warm evening enjoying dinner on the patio overlooking the river. Those cavatelli are calling my name.